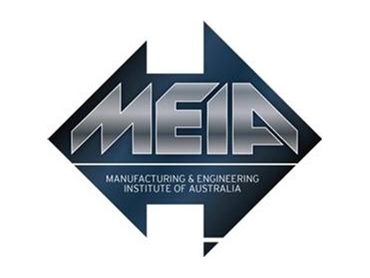 Officially launched on July 1, the Manufacturing & Engineering Institute of Australia aims to be a bridge between established, larger industry associations and small metal manufacturers. alone has seen the establishment of groups like META, Manufacturing Industry Innovation CRC and the Australian Advanced Manufacturing Council. However, a gap in the market exists as far as small metal forming manufacturers, according to David Armston, who has a broad-ranging background as a consultant and an executive of companies including OneSteel and BHP, and working with various Associations and Institutes in construction and manufacturing. Monthly of some of the established industry bodies. “And we want to work with them. Associate members include suppliers to the industry, as well as training and safety bodies, universities and research organisations. The organisation is focussing on NSW at the moment, and will hold its first public event on August 29 at Miller TAFE in south-western Sydney. “It’s a national organisation,” explained Armston. “We have the NSW segment set up now. We’ll be having an open forum in Victoria by the end of September and be starting the Victorian end of this. The August 29th event will be the first of what are planned to be quarterly, day-long events by MEIA. It incorporates a regional World Skills competition for apprentices and a manufacturing and engineering suppliers EXPO and Seminars. “People will be encouraged to bring not only themselves but their boss and their key people. So that’s the model and it’s worked well in a lot of industry associations and institutes I’ve worked with. There are good models and ways to do this,” said Armston. Investing part of a day is worth doing, especially for little companies with five to 30 people, Armston said, with an opportunity to learn more about where the industry’s heading and what its successful members are doing. So what are the businesses surviving and prospering in the industry doing, and what can be learned from them? On the whole, Armston has noticed that the trend is towards being smaller and more responsive and flexible. Smartness and leanness are not new, and neither is spending on skills and equipment to drive a company’s productivity. “They’re still investing to keep their unit costs competitive,” said Armston.